Groundwater ecosystems contain a unique suite of microbes and invertebrates that provide valuable ecosystem services, including maintenance of aquifer porosity and flow, and breakdown of many contaminants. Regulation of groundwater systems has previously focused on the effects of groundwater extraction on beneficial uses, or as a source of contaminants to surface waters, rather than on the protection of groundwater ecosystems themselves. Gaps in our knowledge of groundwater processes and ecology have hampered our understanding of what governs groundwater quality, i.e. its physical, chemical and biological properties, at various scales. Major contaminant threats to groundwater quality include increased levels of salinity, nutrients, acidity, metals, pesticides and other organic chemicals, from both diffuse and point sources. Due to the connectivity between groundwater and surface waters, a holistic approach to their management and protection is required. However, groundwaters have unique physicochemical and hydrological properties, and often endemic biota, that necessitate the development of specific groundwater quality objectives. Nevertheless, many of the ecotoxicological tools used to assess the health of surface waters could be modified and applied to assessing risks to groundwater quality. Key needs are tools that provide early warning of impacts, together with different lines of evidence in a weight-of-evidence approach. This talk will highlight some of the emerging contaminants from industrial, mining, coal seam gas and defence activities e.g. PFOS, that have the potential to impact groundwater quality and ecological health. This requires a better understanding of how the properties of unsaturated and saturated zones may affect contaminant bioavailability and the response of groundwater biota. Case studies demonstrating the application of new ecotoxicological tools such as bioassays and molecular (-omics) techniques to assess impacts on groundwater biota and biodiversity will be discussed. Dr Stauber is a Chief Research Scientist at the Centre for Environmental Contaminants Research, CSIRO Land and Water in Sydney and a fellow of the Australian Academy of Technological Sciences and Engineering. She has over 35 years’ research experience and has written over 350 scientific papers and technical reports in the fields of aquatic ecotoxicology and human toxicology. Jenny has chaired and served as expert ecotoxicologist on several World Health Organisation review boards, together with the NSW EPA Board and a large number of expert advisory panels to the Australian government on areas as diverse as contaminants, reef water quality, uranium mining, coal seam gas, hazardous waste, chemicals risk assessment and water quality guidelines. 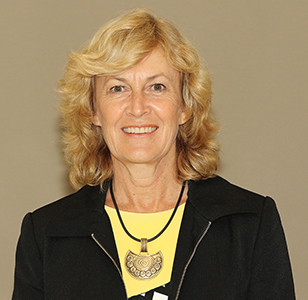 She is a member of Australia’s Independent Expert Scientific Committee on Coal Seam Gas and Large Coal Mining Development which advises the Commonwealth Minister on all water-related aspects of coal seam gas. From 2008 to 2014 Jenny was Deputy Chief and then Acting Chief of CSIRO Land and Water. From 2006-2008 she was a Visiting Professor in the Department of Biology and Chemistry at City University, Hong Kong. In 2006 she was a joint winner of Australia’s Eureka Prize for Water Research for research into the assessment and regulation of contaminated sediments.